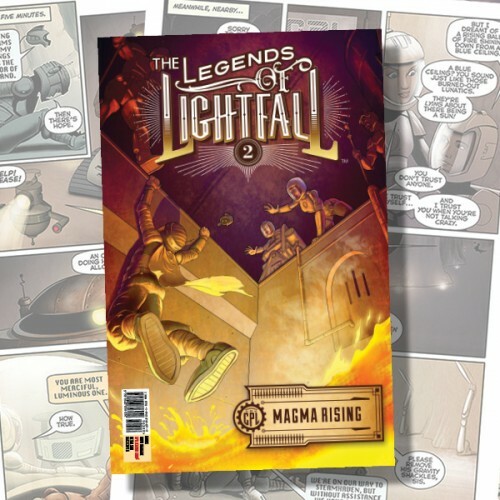 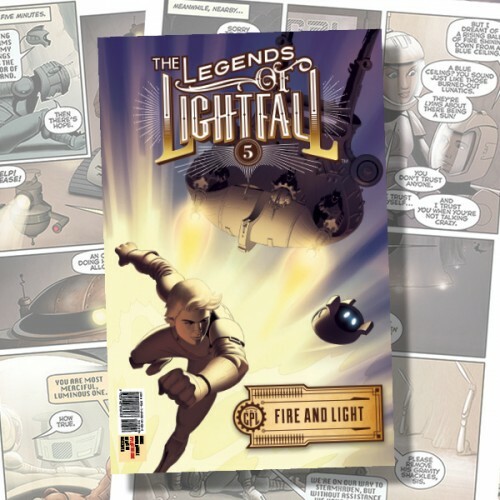 Explore the world of The Legends of Lightfall, a brand new comic series filled with cutting-edge technology and vivid visuals. 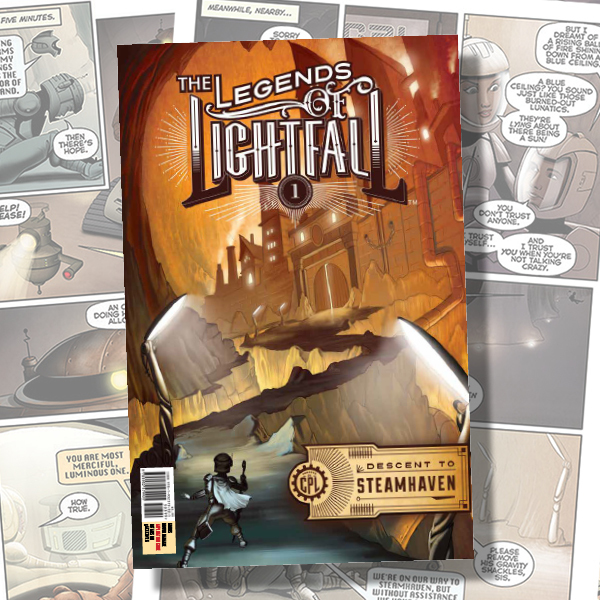 Descent to Steamhaven, comic book #1, is NOW AVAILABLE. 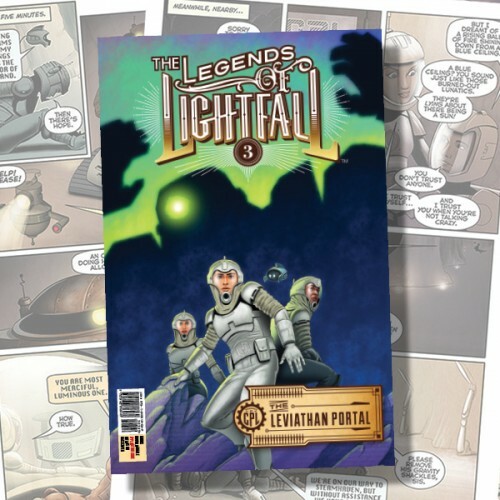 Join Kort, Sofia, Treads, and their hover droid, ABDA, on a treacherous quest as they grapple with Lightstalkers, marauders, and poisonous air on the perilous path to the underground city of Steamhaven. 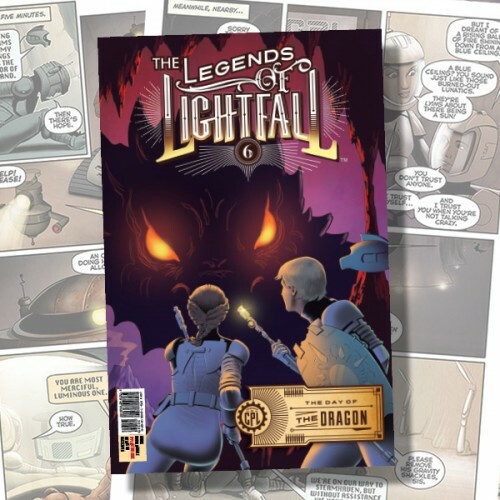 22 full color pages; story by The Quadrivium Group & Plain Joe Studios.